We have noted that our range of commercial vehicle accessories is of interest to service and repair shops – and to maintenance companies – where the availability of these components can make a big difference in workshop downtime and in reducing parts costs. 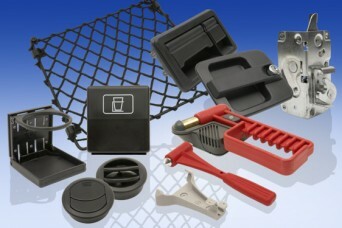 This includes smaller vehicle body fittings and trailer parts such as emergency hammers, door handles, luggage compartment handles, locks, latches, storage nets, cupholders, air vents, strikes, toggles as well as door sealing profiles and the larger hardware and trim items – suited to trucks, buses, coaches, railway stock, caravans, horse boxes or similar. Shop and service managers please contact us here to discuss your specific requirements. Share the post "Vehicle body fittings for service, repair and maintenance"